Well that didn’t take as long as I figured it would. No, not that, silly. The release of the redesigned Nintendo 3DSXL, which will be making it’s way to the North American market on February 13th, 2015. Along side the launch will be several games such as Monster Hunter 4 Ultimate and Ace Combat Assault Horizon Legacy. As an added bonus the remake of Xenoblade Chronicles for the 3DS will hit North America in April. 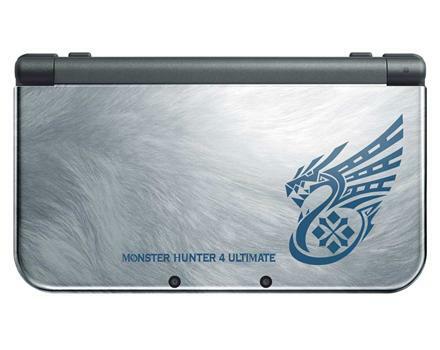 The new 3DSXL will be priced at $199.99 for the regular editions (black and red) and Majora’s Mask edition (does not include game and sold out everywhere) and $229.99 for the Monster Hunter 4 edition. Oddly enough the AC Adapter for the unit is not sold in the package. 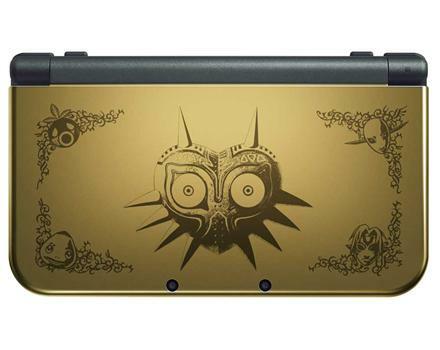 Update: The new 3dsXL Majora’s Mask edition is sold out at just about every Gamestop. Sadly for anyone over on the west coast most if not all Gamestop’s were sold out of the edition even before anyone got the news of the release or before any of the Gamestop’s opened. Talk about crappy luck and even worse unit availabilty. Update 2: They’re up on Ebay – Link. $500.00 or more, this really stinks for the actual gamers out there. Update 3: Bestbuy currently has the Majora’s Mask LE up for pre-order. Keep in mind it’s online only at the moment and you will be charged the full amount! Update 4: And Bestbuy is now sold out. I hope most of you got your pre-orders in! Are you going to pick one up or are you happy with your current 3DSXL? I just might have to break down for one, just for Xenoblade, oh and for review purposes of course.